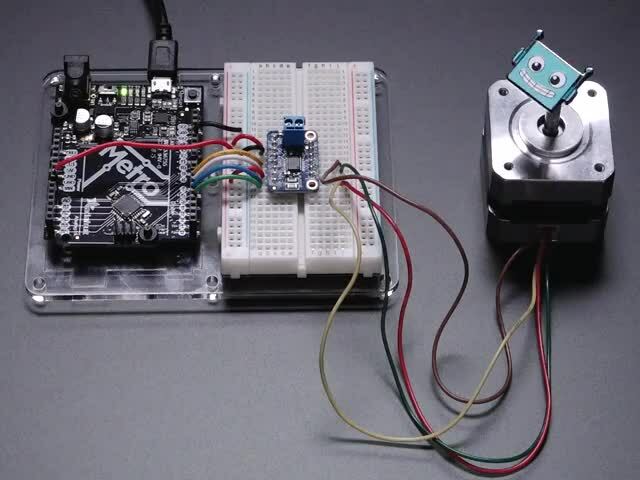 In this example we'll wire up and use a bi-polar stepper motor with recommended 9V motor voltage, and 200 steps per rotation. We'll wire it to a Metro, but you can use any microcontroller you like! Then hook one stepper motor coil to Motor A (red and yellow) and the second coil to Motor B (green and gray/brown). 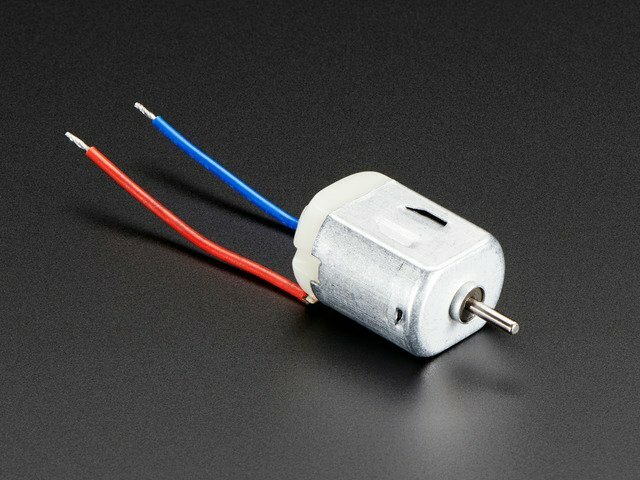 If you have another motor, you'll need to experiment a little to figure out which wires are which coil. Check any documentation you have! You can use a multimeter to measure between wires, the ones with a small resistance between them are a pair to a coil, for example. 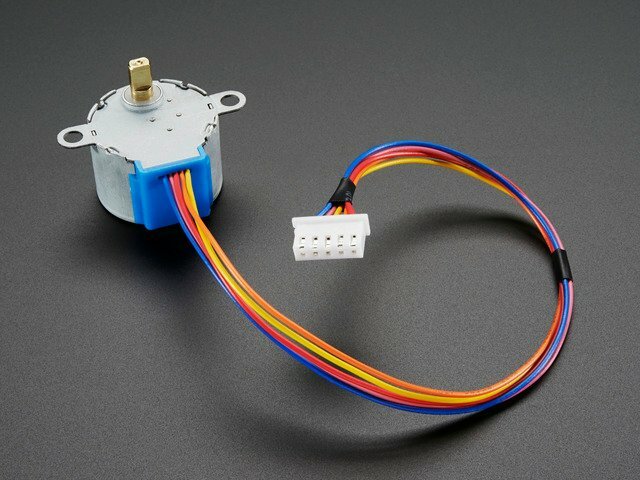 If the motor is vibrating but not spinning, check all wires are connected and try flipping around a pair or rechecking the wire pairs. If you have a unipolar motor, there will be a 5th or 6th wire that is the 'common' wire. 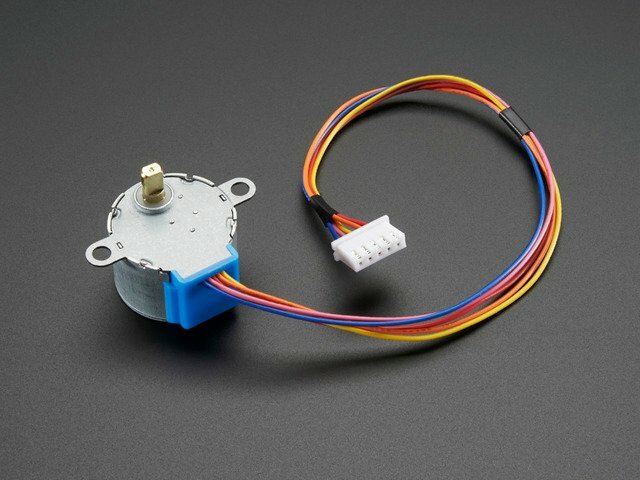 Connect these wires to the GND pins in between the Motor A and B outputs on the breakout. This guide was first published on Oct 26, 2016. It was last updated on Oct 26, 2016. 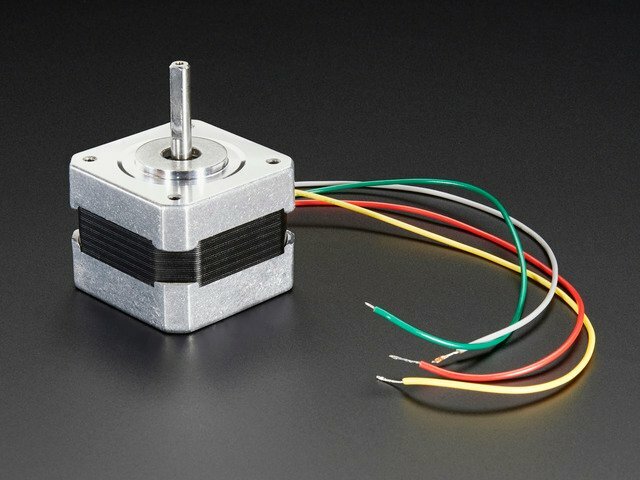 This page (Stepper Motor Usage) was last updated on Apr 25, 2019.